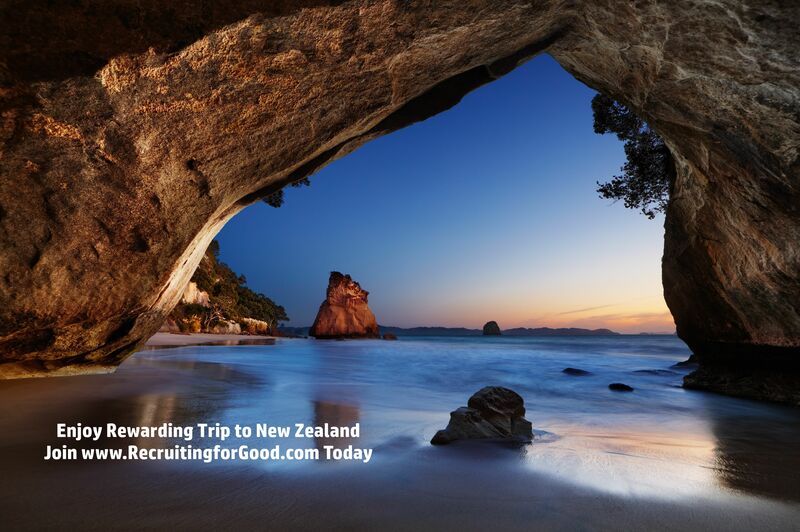 Recruiting for Good is a staffing company that generates proceeds to fund and reward people fun fulfilling travel. New Zealand is the first destination rewarded in 2017. Santa Monica, California, May 10, 2016	(Newswire.com) - Recruiting for Good is rewarding travel for 10 people to experience a 15 day adventure trip to New Zealand in 2017 and to learn how to use GoPro. Awarded travel will be paid for by Recruiting for Good and hosted by small group adventure travel company G Adventures, through its 15-day G Adventures New Zealand tour departing on January 20, 2017.
photographer Jennifer Dobson during the trip. According to Recruiting for Good founder Carlos Cymerman, "People can also participate in Recruiting for Good to gift this trip to a family member or sponsor and reward a teacher too." 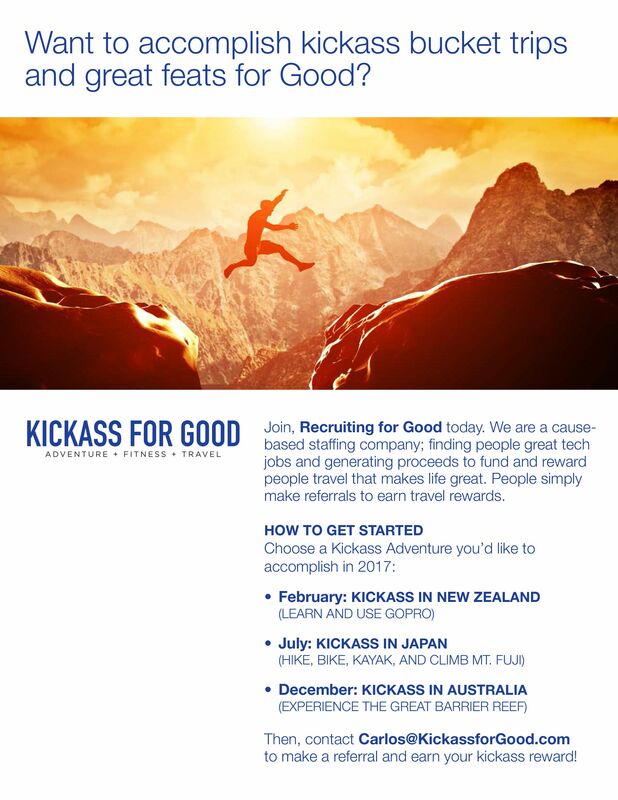 Travelers who want to enjoy or gift the New Zealand and GoPro Camera Reward, must participate in Recruiting for Good's travel referral service by no later than July 15, 2017. Recruiting for Good, a fun cause-based staffing company, has been connecting talented technical professionals to great jobs since 1998. Our mission every year is to reward fun fulfilling travel. 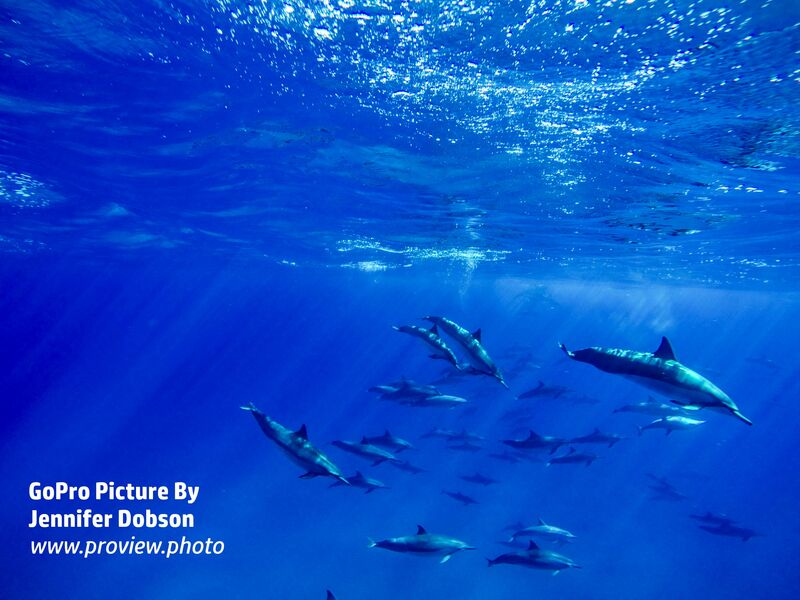 People earn travel rewards by making referrals. Every successful referral that leads to 1 person getting a job, equals 1 rewarded destination; 1 for 1. Participate in Rewarding Good Travel to help sponsor and reward military personnel, social workers, and teachers travel. Since 1998, Recruiting for Good has been connecting technical professionals to great jobs, and helping companies find great talent. We now are using recruiting to help fund and gift travel. Join our fun mission to help people see the world for good. 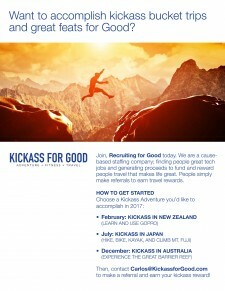 Recruiting for Good, a cause based staffing company, whose mission is helping people travel and see the world. Hosted five creative writing events in the community to inspire participation and make a difference in people's lives. The topic was, "choose one word that can change the world, and tell us why?" Linnea Duvall's winning entry and word was gratitude. Recruiting for Good, a fun cause based staffing agency will collaboratively help ten people who volunteer or work in a nonprofit or school; fund Antarctica adventure destinations every year. Recruiting for Good, a fun cause based staffing agency now rewards people who make professional referrals; funding for Lifeculturr adventure travel destinations.